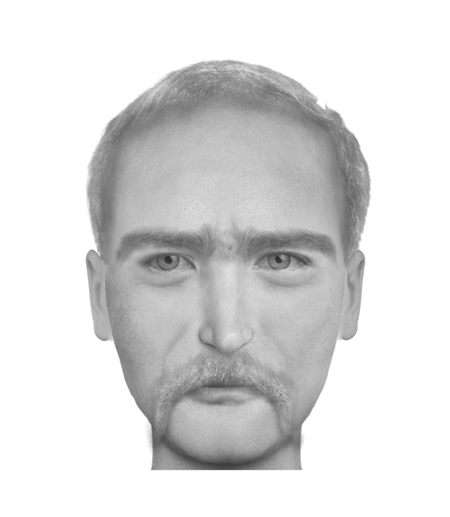 I found a great blog called "The Composites" created by Brian Joseph Davies, where he makes images of literary characters using law enforcement composite sketch software and descriptions taken from books, It's really interesting and well worth a look. A tall old man, clean shaven save for a long white moustache…His face was a strong, a very strong, aquiline, with high bridge of the thin nose and peculiarly arched nostrils, with lofty domed forehead…His eyebrows were very massive, almost meeting over the nose, and with bushy hair that seemed to curl in its own profusion. The mouth, so far as I could see it under the heavy moustache, was fixed and rather cruel-looking…For the rest, his ears were pale, and at the tops extremely pointed. The chin was broad and strong, and the cheeks firm though thin…The blue eyes transformed with fury. You can also buy a book of the composites, which range from anyone like Jane Eyre to Katniss Everdeen. such a clever idea and so interesting to see if the pictures we conjure up while reading a book are true to what we're told about the characters. Links to how you can buy the book are on the blog. Click here to visit The Composites.